Contributory negligence is a source of much confusion in North Carolina. 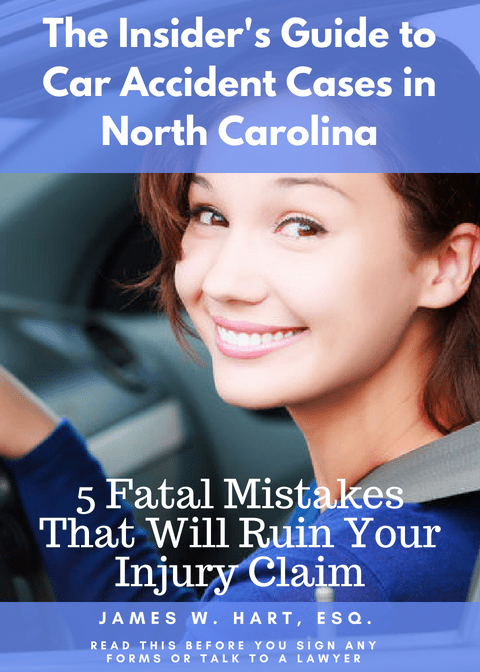 North Carolina is one of 4 states (the others being Maryland, Virginia and Alabama) and the District of Columbia that apply this rule in personal injury lawsuits. Here is what this rule says, in layman’s terms. Contributory negligence is a defense that can be asserted by the defendant in a personal injury lawsuit, and if proven, will act as a complete bar to recovery for the injured party (that’s you, by the way). It applies where the injured party contributed, through their own negligence, to the harm they suffered or the occurrence of the accident. In other words, let’s say you were jay-walking and got hit by a speeding car. A jury could find that you were only 1% at fault for the accident. But because you were 1% at fault, by law you are not allowed to recover anything from the defendant. In another instance, suppose you were driving too slow (i.e. 45 mph in a 70 mph zone) on the highway and were hit from behind by a speeding car. The other car may have been negligent in that they were speeding and failed to exercise appropriate care in failing to hit you, but the fact that you were driving 25 mph under the speed limit could have also contributed to the accident. As a result, you would be considered contributorily negligent and recover nothing in this situation, even if a jury found that you were only 1% at fault. There are a number of exceptions to this draconian rule, including the Rule of 7’s, cognitive impairment, gross negligence onto part of the Defendant, or the last clear chance rule. However, the best way to avoid the contributory negligence rule is to be prudent and careful in all situations so that nobody can claim you were negligent in the first place. Other states apply different standards to recovery for personal injury lawsuits, including comparative negligence that will apportion damages in proportion to the percentage amount that you were at fault. So if you were only 1% at fault, your damages will be reduced by 1%. But North Carolina is definitely an outlier, and as a result, it is important that you talk to a lawyer about how your actions in potentially causing an accident will affect your ability to recover damages.